My jaw dropped when I first watched this video tour of a beautiful owner-built green building construction project in Oregon. 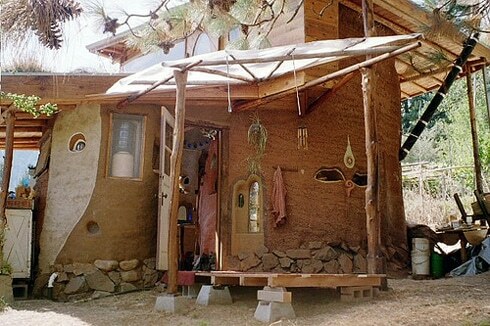 This particular green building is made entirely out of cob, a mixture of clay, sand, and straw. 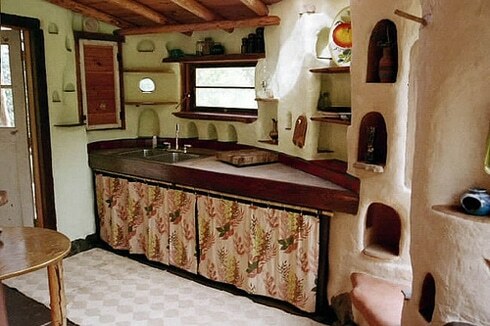 Meka Bunch of Wolf Creek, Oregon built this stunning cob house over a four year period. 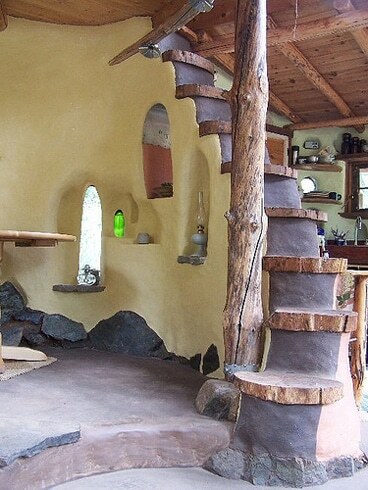 Complete with hand-sculpted furniture, shelves and nooks built directly into the walls, arched windows, and a killer custom staircase, his cob building is a divine artistic achievement. 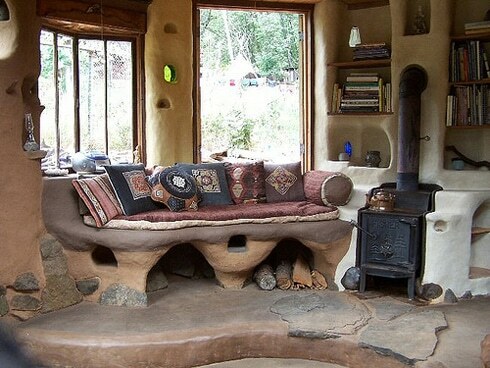 This couch is made of cob and features wood storage tucked underneath, right next to the stove. 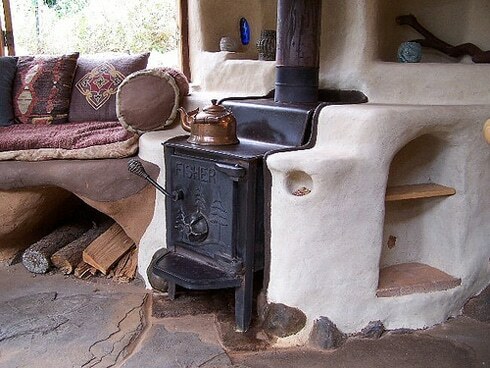 The wood stove is surrounded by cob for thermal mass, and includes a warm nook with shelf to culture yogurt. The north porch of Meka’s cob cottage. 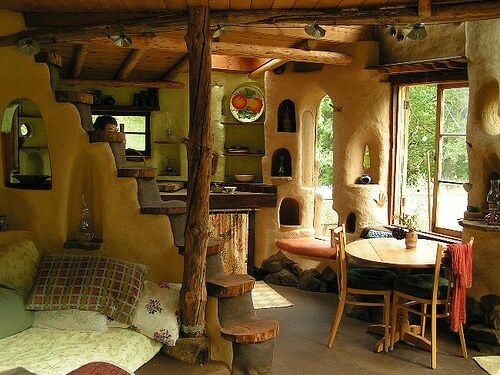 I must say that Meka’s cob house design is one of my favorite projects that I’ve seen. This is truly a beautiful hand-built green building. For more information, visit the Artisan Builders Collective. Learn how you can create your own cob building projects. Learn more about green construction jobs at an ecovillage.